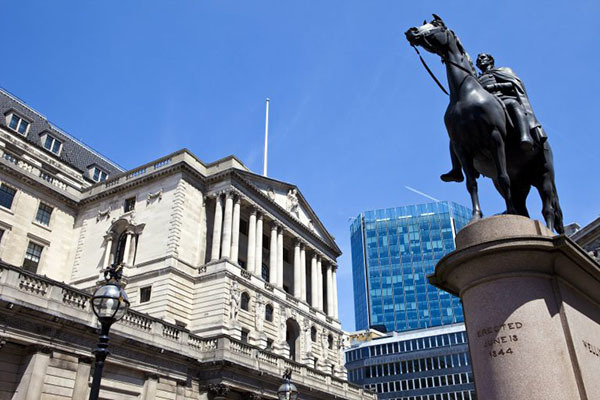 The Bank of England (BoE) has raised interest rates for only the second time in more than a decade, but stuck to its previous guidance that any further monetary tightening is likely to be only gradual and limited in extent. On 2 August, the nine members of the Monetary Policy Committee (MPC) voted unanimously to raise the official bank rate by a quarter of a percentage point, from 0.5% to 0.75%. This took interest rates to their highest level since March 2009. After making the announcement, BoE Governor Mark Carney suggested it was likely that further rate rises would be required over the next couple of years, in order to fulfil the BoE's obligation of keeping consumer price inflation at around 2%. However, he also stated that there was no immediate need for further action, particularly while Brexit uncertainties loomed on the horizon and stressed that any further monetary tightening was likely to be only in a limited and gradual fashion. He added that a good rule of thumb for the future path of interest rates would be one potential rate rise per year over the next few years. Mr Carney said: "If you take what financial markets think, which is about one interest rate increase a year, of a quarter of a percent per year, for the next few years, you more or less get inflation back to target over the right horizon. It's actually a little too little, but not much too little. If people want a rule of thumb for now, I would use that with the caveat... [that] it will depend on what happens with the Brexit discussions." Second quarter data confirmed that the UK economy did bounce back from its winter slump although it also suggests that any momentum is unlikely to be maintained over the coming months. 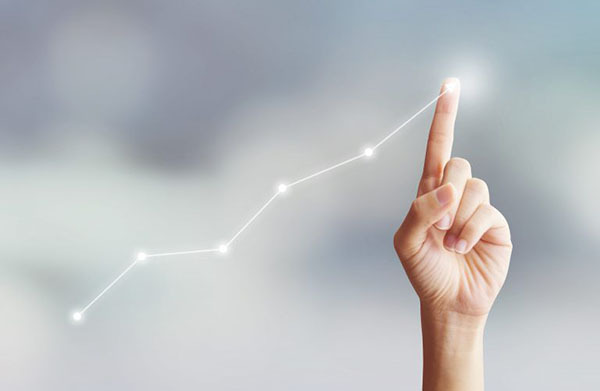 Official data released by the Office for National Statistics (ONS) shows that UK gross domestic product (GDP) rose by 0.4% during the April– June period. This was twice the rate recorded during the first quarter of the year and confirms that the economy did rebound from its 'Beast from the East' induced winter slowdown. However, while the economy did clearly bounce back during the second quarter, the rate of underlying growth remains modest by historic standards. In addition, there are signs that any momentum may already be starting to wane, with the economy only expanding by 0.1% in June, down from May's more robust growth rate of 0.3%. Commenting on the figures, Rob Kent-Smith, head of national accounts at ONS, said: "The economy picked up a little in the second quarter with both retail sales and construction helped by the good weather and rebounding from the effects of the snow earlier in the year. However, manufacturing continued to fall back from its high point at the end of last year and underlying growth remained modest by historical standards." ONS also warned: "Abstracting from these quarterly movements, the underlying trend in real GDP is one of slowing growth." This analysis clearly suggests that the UK economy is unlikely to sustain the rate of growth experienced over the summer particularly without the combined positive impact of the hot weather, royal wedding and football World Cup. Indeed, with Brexit-related uncertainties continuing to hit growth prospects and the recent interest rate rise likely to dampen consumer demand to some degree, the UK could be set for a period of relatively sluggish economic expansion. At the end of August, trade tensions between the US and its international trade partners weighed on sentiment. Whilst trade talks with Canada are set to resume, President Trump is keen to progress with his plan to impose tariffs on $200 billion worth of Chinese goods. 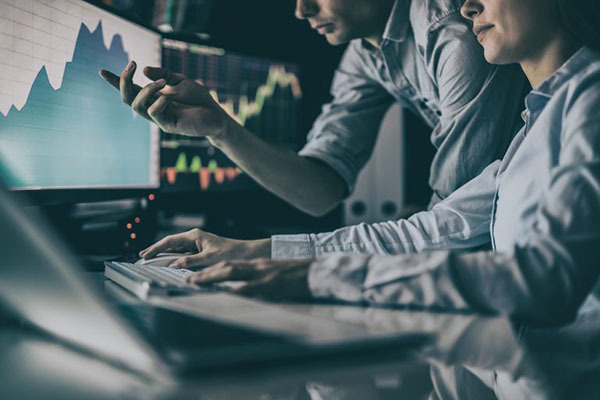 Uncertainty surrounding trade policy certainly hit stock markets across Europe, adversely affecting more volatile sectors, such as financials and commodity stocks. In the UK, worries over an escalation in a trade war between the US and China dented appetite for UK stocks. The FTSE100 fell 4.08% in the month to close at 7,432.42, its biggest monthly loss since August 2015. Worries over a possible "no-deal" Brexit also niggled, and a stronger pound impacted the FTSE's dollar-earning constituents. The decline in the FTSE250 was less marked, the mid-cap index closed August on 20,689.00, a loss of 0.90% over the month. The Junior AIM finished the month in positive territory, up 1.03% (11.27 points). The Eurostoxx50 fell 136.5 points (3.87%) to finish on 3,392.90. On Wall Street, indices closed the month strongly, the Nasdaq Composite finished August up 5.71% on 8,109.54, following a record rally for shares of Apple Inc. The Dow Jones closed on 25,964.82, up 2.16%. In Japan, the Nikkei225 rose to its highest level in over three months, lifted by the yen's depreciation against the dollar. Losses in the manufacturing, finance and shipbuilding sectors at the end of the month meant the index lost some of the ground gained in the month, to close August on 22,865.15, a monthly increase of 1.38%. On the foreign exchanges, sterling closed the month at $1.29 against the US dollar. The euro closed at €1.12 against sterling and at $1.16 against the US dollar. Brent crude closed the month higher at $77.42 a barrel, a gain of 4.27% on the month. The oil price has recently been buoyed by expectations that US sanctions on Iranian oil will lead to tighter global supplies. Recently, gold seems to have lost some of its appeal as a hedge to inflation and market uncertainty, closing the month down 1.86% at $1,201.19 a troy ounce. Chancellor Philip Hammond has received another welcome boost with the latest public finance statistics reporting the largest July budget surplus in 18 years. July is traditionally a healthy month for government finances due to the seasonal impact of self-assessed income tax returns. And this year receipts were particularly buoyant with data released by ONS revealing that the Treasury collected £2 billion more in revenues than it spent during July. This surplus was £1 billion above the comparable figure recorded in the same month last year and the biggest surplus for any July since 2000. It was also significantly higher than the consensus forecast amongst economists and left the financial year-to-date borrowing total at just £12.8 billion. This was £8.5 billion less than the same period last year and represents the lowest April–July year-to-date borrowing figure in 16 years. While some of the improvement in July's figure was due to one-off factors, such as the timing of payments to the EU, the data would appear to confirm that government borrowing remains on a downward trajectory. Indeed, if this trend continues, borrowing will significantly undershoot the £37.1 billion total year forecast which the Office for Budget Responsibility produced as part of the Spring Statement. The latest data therefore clearly provides the Chancellor with a significant boost as he prepares his Autumn Budget which will be unveiled in November. The Government has already announced a relaxation of its public sector pay cap and promised additional funding for the NHS, and Mr Hammond is sure to face further calls to ease his grip on spending. While balancing these calls with his long-standing commitment to reduce government debt will still represent a fiscal challenge, the improving state of the public finances at least provides the Chancellor with some room for manoeuvre. A study by an independent think tank has found that average earnings remain significantly lower than they were a decade ago, despite employment currently standing at a record high level. The analysis by the Resolution Foundation aimed to consider how close the UK currently is to full employment. It found that between 2008-09 and 2016-17, employment rose by 2.1 million, with the main beneficiaries being lower income households. However, the study also cited legitimate concerns regarding the quality and security of many of these additional jobs, pointing out that around 800,000 people now work on a zero-hours contract. As a result, while the UK has achieved an impressive performance in relation to job creation, the impact on pay has been less inspiring. In fact, real average earnings were found to be around £13 per week lower than a decade ago. Stephen Clarke, a senior economic analyst at Resolution Foundation commented: "While employment is at a record high, Britain is still some way off full employment and too much work remains low-paid and insecure." The latest official data on wages and inflation also suggests that the squeeze on household incomes is not yet a thing of the past. Indeed, while the annual growth in average weekly earnings (excluding bonuses) in the three months to June fell to 2.7% from 2.8% in the previous three-month period, the rate of consumer price inflation rose to 2.5% in July up from June's level of 2.4%. While this does mean that wages are still rising at a quicker pace than prices, this is clearly only just the case. And it will obviously take a significant acceleration in wage growth to close the gap in pay that has emerged over the course of the last decade. At the moment, such a scenario seems unlikely. It is important to take professional advice before making any decision relating to your personal finances. Information within this document is based on our current understanding and data from the Office of National Statistics and can be subject to change without notice and the accuracy and completeness of the information cannot be guaranteed. It does not provide individual tailored investment advice and is for guidance only. Some rules may vary in different parts of the UK. We cannot assume legal liability for any errors or omissions it might contain. Levels and bases of, and reliefs from, taxation are those currently applying or proposed and are subject to change; their value depends on the individual circumstances of the investor. No part of this document may be reproduced in any manner without prior permission.